Welcome to the Cosy Craft Club's lino printing month! 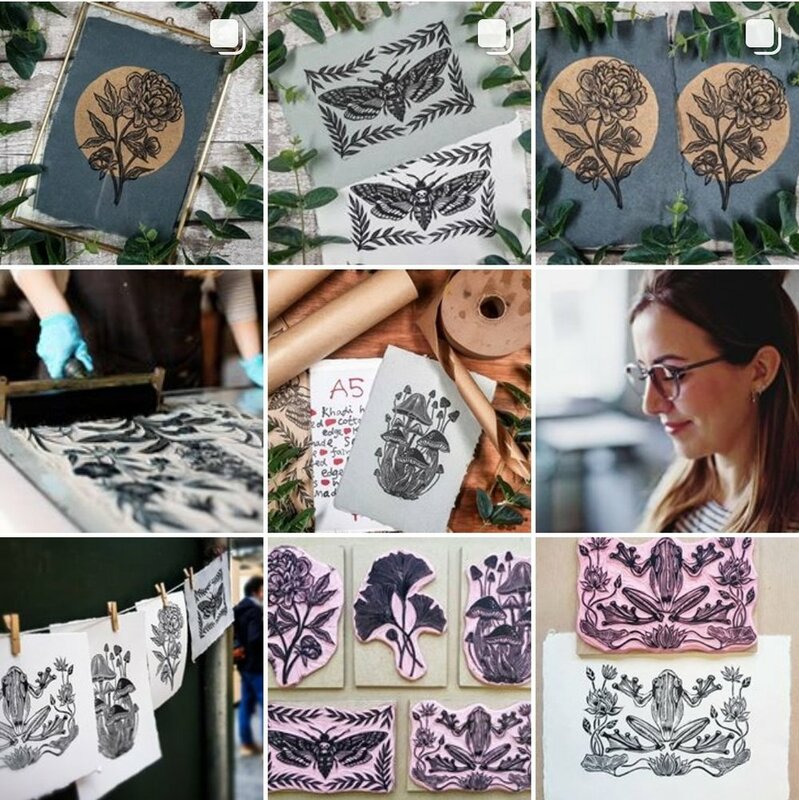 We really want to encourage you to have a go at lino printing yourself, and we'll be sharing the key things you need to know to get started. 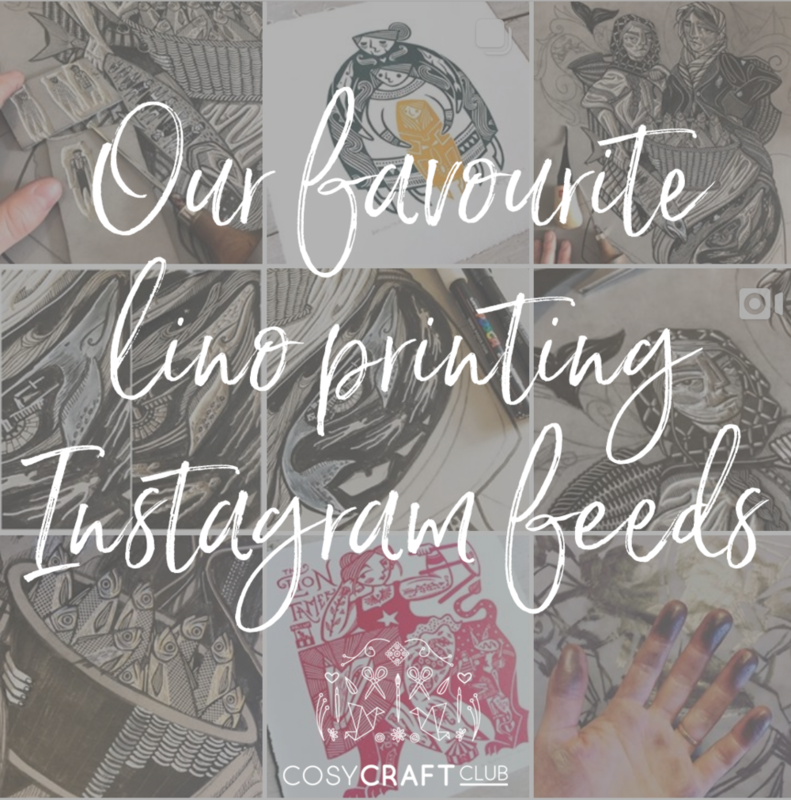 You can find all our lino printing posts in one place here. Kat Flint describes her style as 'quirky', and her prints are certainly that! They are very reminiscent of Eastern European folk style, with a good dollop of humour in there too. Look out for the tiny details in her prints. Laura from Magnolia Lily Prints makes beautiful nature prints which are so detailed and really bring the subject to life. 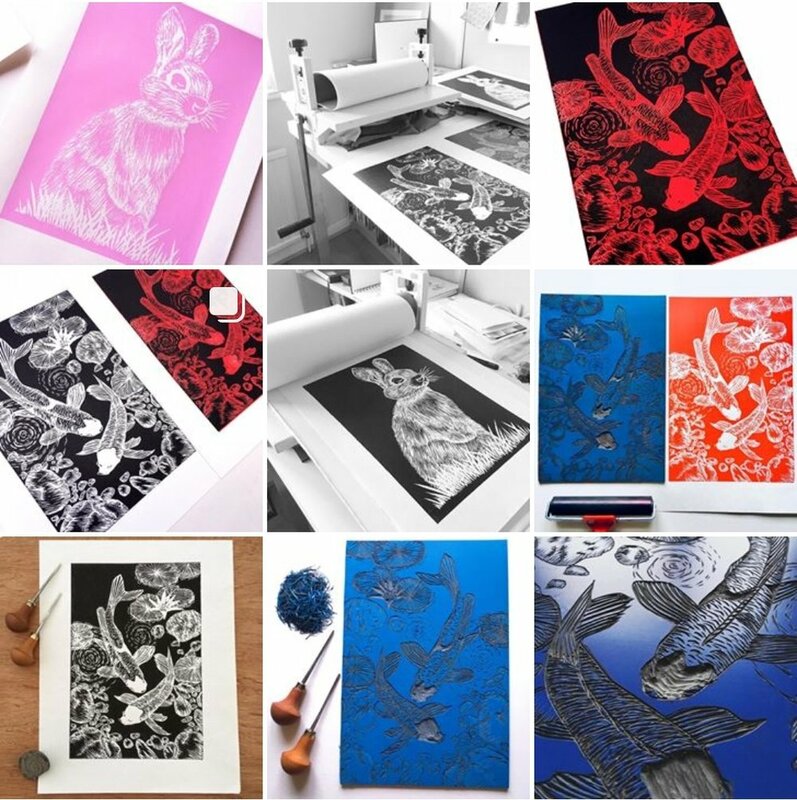 She mainly uses a single colour 'negative' style image which means she can then print each design in a number of different colours, which can really affect the feel of the print. Marlene's lino prints really showcase the potential for lettering in this art form, and they look amazing. This is even more impressive when you remember that she will have had to cut them backwards! Melanie Wickham's prints are full of humour and quirkiness. Foxes dancing at a disco, anyone? She captures movement and expression with simple lines and the result is charming. 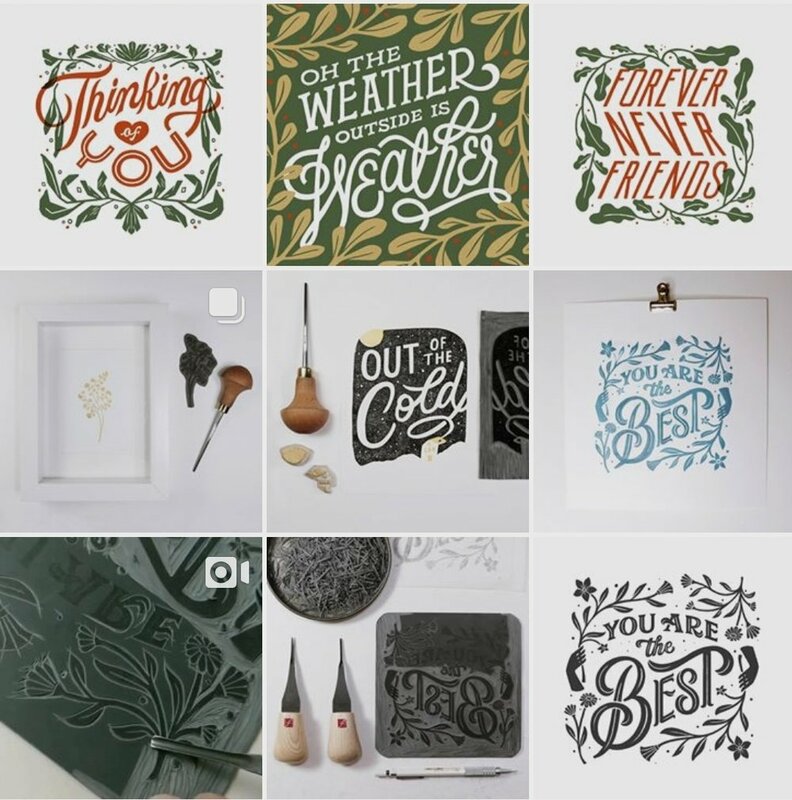 Nature prints abound on Rachael Hibbs' feed. She says she's a regular at the Natural History Museum, and you can see why! Viktoria Åström has a huge following on Instagram, and it's easy to see why. Her prints have a lovely child-like quality about them, and you can see the influence of her Swedish roots. 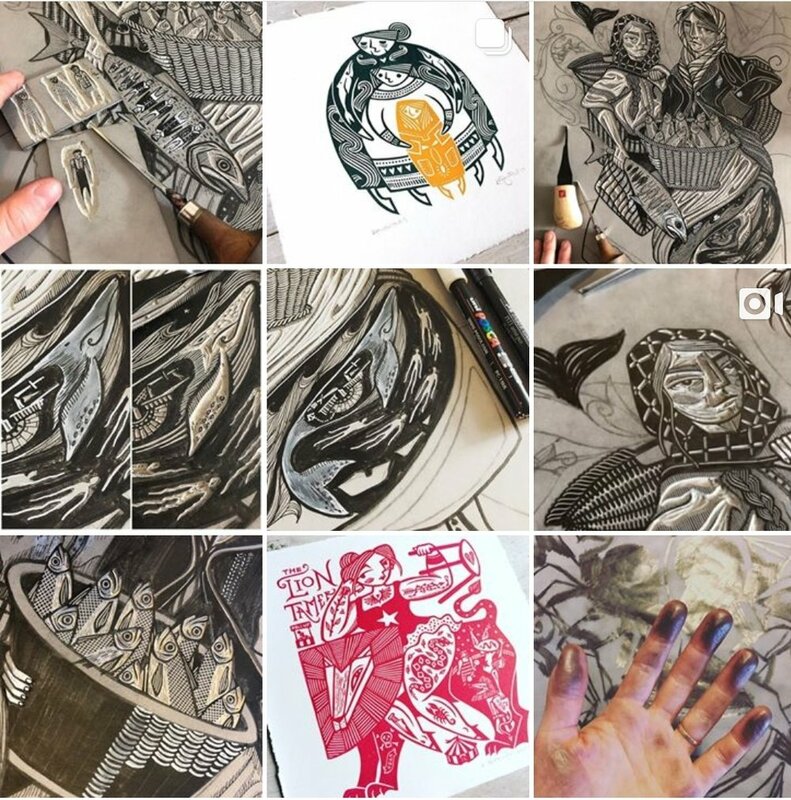 At the moment she is experimenting with hand-drawing a picture, and then lino cutting the same image - it is amazing to see how an idea compares in the different mediums. 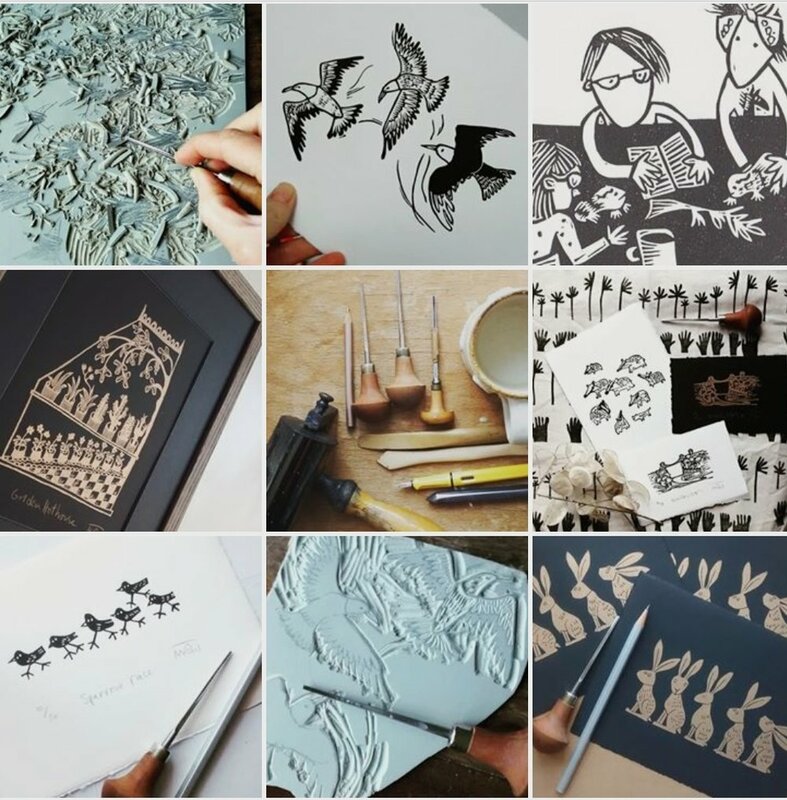 Ceri Lineham from WelshPoppy has a style that reminds me of 1950's comic books, with shadows and textures created from lines carved into the lino (I'm not explaining it very well - you'll have to take a look for yourself to see what I mean!). Her subject matter mainly focuses on nature, and she really brings it to life. Bailey from Young Schmidt Prints brings a modern style to her lino prints - very bold and graphic. And plants galore! It's enough to make you want to fill your house with plants (or just buy one of her prints and put it on your wall). 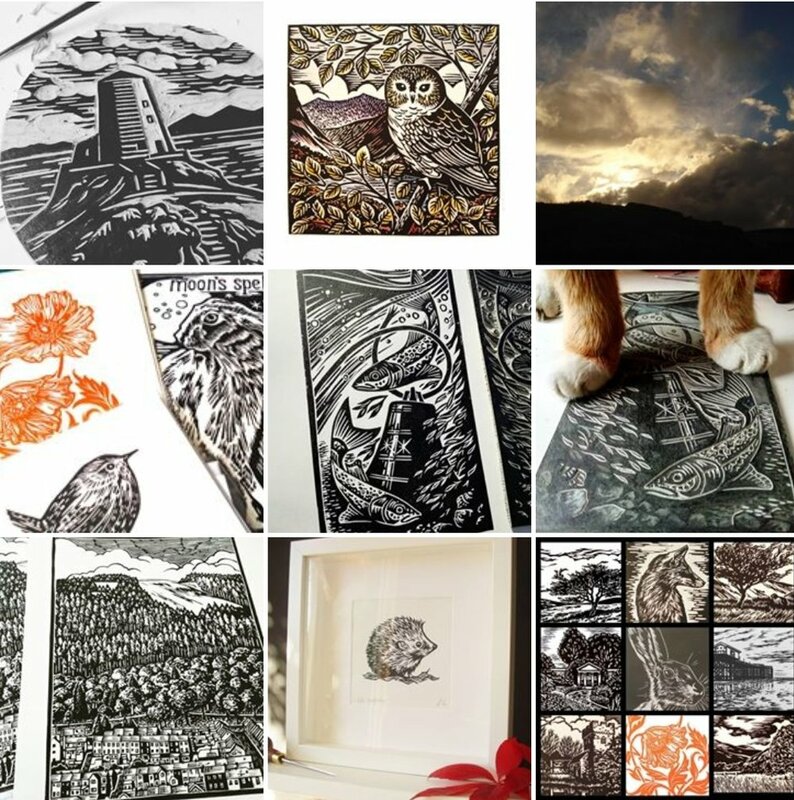 What a lot of talented printmakers we have here! I hope you’ve found one (or more) you really love. Why not head over to their feed and show them some love?! 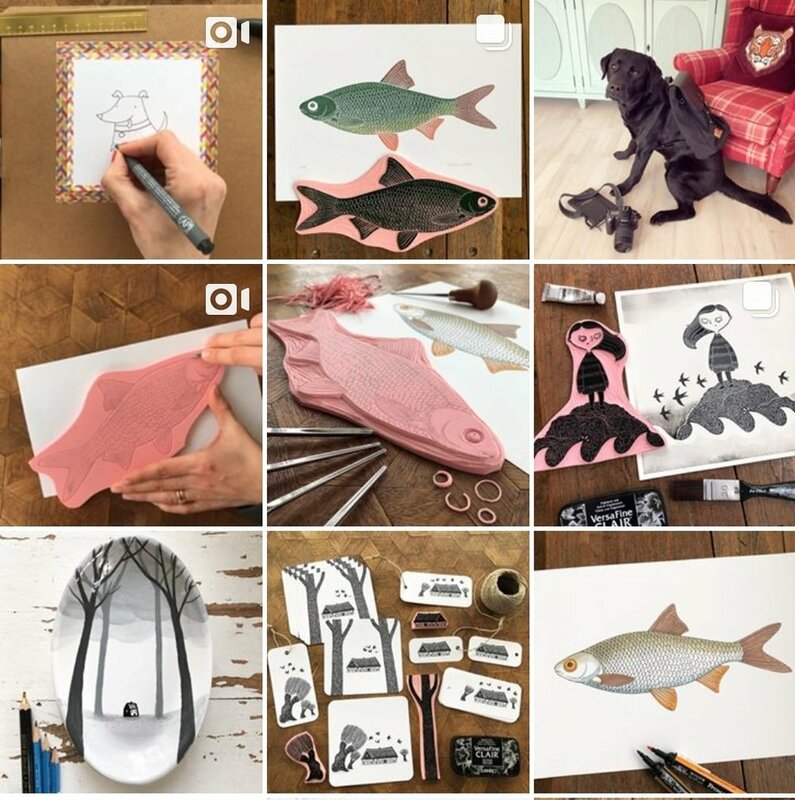 Welcome to paper cutting month!